If your child is sick please keep in mind they must be vomiting, diarhea & fever free for at least 24 hours before returning to school. We understand they need to be in class, but the policy is in place not only for their benefit but the benefit of the health of the other students and staff. Thank you. Good luck to all our Warriors this weekend as they compete! Join us for a Watch Party! Buy your ticket below or at the door! Park in the front parking lot of St. Pius X High School and enter the Fine Arts & Activity Building through the door on the southwest side of the SPX Parking Lot. The Logan Banquet Room is on the 2nd Floor. online form attached to reserve your spots at a table. If you do not have a complete table, please fill out the form with whomever you would like to sit and the empty spaces will be filled accordingly. If your SPX student will be escorting student visiting from another school they will need to complete the Visitor Permission Form, available in the front office. Please be sure to return it to SPX NO LATER than 3:00 pm 04.10.2019. After prom permission slips were emailed, and are available here. Good luck to our Warriors baseball, soccer, tennis, track, and golf teams who face off this week! Please check the lost and found in the commons this week. Anything left after Friday will be donated. There are water bottles, lunch boxes, coats and more! Senior Send Off--May 2nd 8:30 a.m. -10:00 a.m. The Boys’ Basketball PreSummer Meeting will be Tuesday, April 30, at 7 pm in the Commons. Join us for the inaugural Alumni Volleyball Tournament to benefit the SPX Volleyball Program. After registrations are received, a bracket will be created and teams will be notified of their schedule. 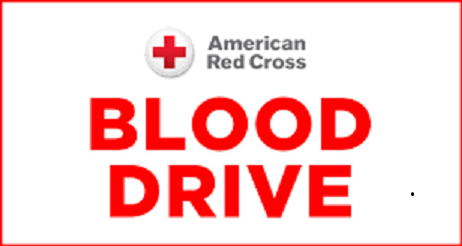 Tentative time: 9:00 a.m. - 3:00 p.m.
Join us for our blood drive April 24th, from 8:30am-12:30pm in the main gym. This past Tuesday during study hall, Mr Murphy met with interested students o discuss the A+ program and some changes to the program. Each students there received an "Intent to Participate" form that must be completed and signed by both parents and student, going forward. Be advised of the newer requirements and how they are to be documented. No Tutor Log sheets will be issued to students until that "Intent" form is returned. Many freshmen were in attendance; a good many came because friends came as well. Documentation for specific conditions for new A+ students was explained. Interested students should declare interest asap, preferably by the end of sophomore year. Here is the latest College and Career Readiness report from ACT for 2018. Check in with Hillcrest Hope staff upon arrival. Flashlight Easter Egg Hunt--Friday April 12, 2019: Students looking for service hours, should contact Gladstone Parks, Recreation and Cultural Arts at 816-423-4200 to ask about volunteering. Please ask for Ashley Taylor. Volunteers needed. The roles best suited for those under 18 yrs old are the following, along with the time slots needed. If anyone is interested they (or their parents) can contact me directly or just go straight to the link below to sign up. Register ONLINE, $35 registration fee, if 18 or older, additional $20 fee. Background check fee is required. Liberty United Methodist Church. For more info contact info@championsspecialministries.org or 913.638.6823. The funds raised come back to FIRE schools in the form of grants to support your inclusion programs. This movie opened last weekend. A compelling story. JOB GOAL: To assist the cafeteria manager in providing delicious, nutritious and affordable meals. Identifies serving utensils, temperature, and correct portion size for serving. Assures product is held at proper temperature for highest quality food attainable. Performs dish room operations during lunch period. Maintains high standards of sanitation in compliance to Health Department Regulations. Maintains high personal hygiene as the basis for sanitation in the kitchen. Reports maintenance needs or equipment malfunctions to manager. Assists in the daily cleanup of the kitchen and service area. Assists in the storage and disposal of unused foods. Performs major cleaning at regularly scheduled intervals as designated by the manager. Works in a courteous and cooperative manner with manager, coworkers, and school staff. Demonstrates ability to deal fairly and pleasantly with students. Maintains a food manager handler licence through the KC Health Department. Comply with all diocesan rules, regulations, and policies which includes the VIRTUS Protecting God’s Children for Adults training. Flex scheduling may occur based on the needs of the cafeteria. PHYSICAL DEMANDS: The individual who holds this position must be physically capable of constant standing and frequent walking, lifting and carrying up to 50 pounds, bending, pushing, pulling, reaching, and fine motor dexterity. The individual must be able to work in a hot, humid environment continuously and work in cold or below zero environment for short periods. The individual must be able to operate commercial kitchen equipment. The noise level in the work environment is usually loud and is a standard acceptable level for this environment. If interested please respond by Friday April 5th. Do you take photos at sporting events and other extra-curricular activities? Are you willing to share them with our community? If so, we encourage you to upload them to our photo sharing site. The photos can be viewed, downloaded and printed by anyone with the password (information below). If you are willing to share your photos, email Melanie Martin at mmartin@spxkc.org to receive an upload link. feel free to contact Melanie Martin if you have any questions.